From its first establishment in 1981, Hifonics has specialized in all audio equipment. The company is confident its amplifiers, subwoofers and signal processors are the best in the industry. 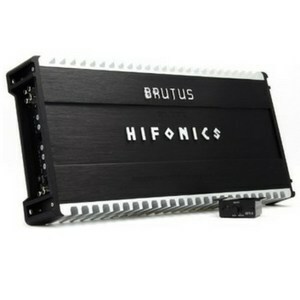 Hifonics poised the statement its sound systems have the sound power unmatched by other brands. 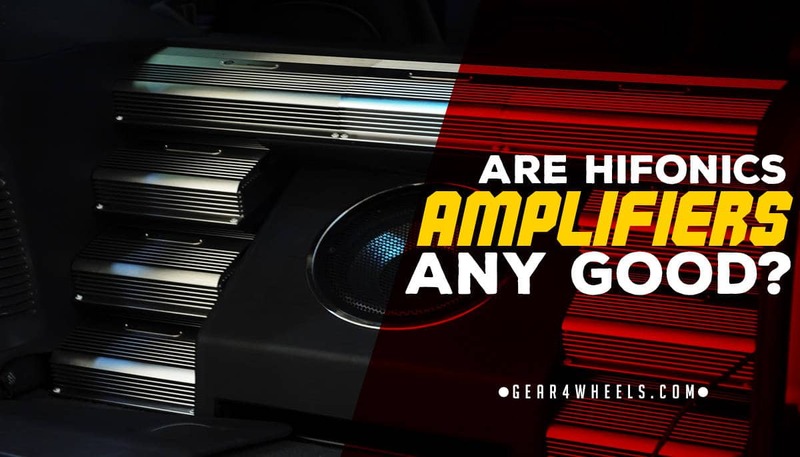 The amplifiers exceptionally represent the company’s slogan “Power from the Gods.” They have the technology to deliver the brilliant sound quality music lovers want. The power the amps drive is virtually unmatched. The Super amps series has three subdivisions: the Colossus, Goliath and Helios. Both the twin turbo power supply and the modulated MOSFET power supply design guarantee the car voltage is maximized from the battery through to the output devices. 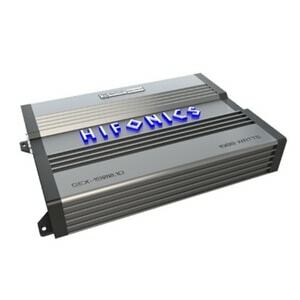 The rock solid Ultra-Fi ™ MOSFET outputs are premium selected by Hifonics engineers. They ensure the outputs are balanced for a smooth sound performance. The Brutus Elite offers either Super A/B or Super D Class. This series also offers amps that are either two- or four-channel mono amps. There is a five-channel amp that is embedded with the technologies from both classes. The multi mode function gives you greater flexibility in installing amplifiers that run into two channels or bridge mono modes. The series is perfectly constructed to provide maximum sounds with the lowest form of distortion. The four-way system protection circuitry safeguards the amps, speakers, DC, thermal and overload from the effects of power overdrive. The Brutus BRX series is packed with a feature that amplifies sound quality and power: the perfected and latest NGSD digital technology designed to elevate the performance of a D-class sound system. This Super D-class Brutus amps can either run at 1, 2 or 4 Ohm. There are some Brutus BRX that are A/B class delivered to provide optimum sound performance. The series utilizes Ultra-Fi™ MOSFET outputs for balanced power and smooth sound performance. Hifonics selected the best MOSFET outputs to help produce this sound experience. You’ll have double the power performance with the Gemini Elite GEX series. The GEX amp line is made up of one 2- and three 4-channel models. The amps feature either a high fidelity Super A/B or Super D class circuit design. The amps also feature simpatico coil designs (SPC) and Ultra-fi Pulse Width Modulated (PWM) MOSFET power supplies. The GEX amps feature Hifonics 35 anniversary heatsink designs for effective heat dispersion. This series line is the oldest and through time it has delivered the sound performance sound enthusiasts love. The affordable Zeus collection consists of a new line of amps. They still deliver the performance as expected from this series. The Zeus ZXX series is embedded with the same premium technology and materials as the others. It features A/B or D class amps, old school heatsinks, SPC design PWM MOSFET power supply and diagnostic indicators. ​Features: Onboard electrical crossovers and boost EQ. Bass remote is included. The Hifonics ZRX1216.1D is a product of the Zeus series. 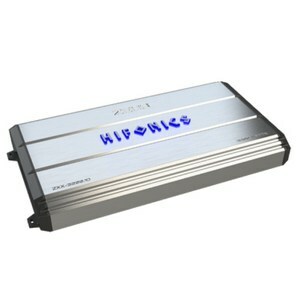 As promised by Hifonics this amp is affordable and brings the power you want. The PCB is military grade. This circuit board is designed to meet industry requirements with no chance of failures. For years you’ll get amplified sound performance. Staying in tune with the essence of the brand the ZRX1216.1D D Class has the traditional Hifonics illuminated badge. The heatsinks let you crank your music for long hours without the amp overheating. The heat is distributed evenly so no part of the amp can get hot. The amp can connect to any sub; it’ll drive maximum power through the subs. The PWZ MOSFET power supply ensures there is no other path for current flow except for the low pass filter or speaker. This improves sound efficiency by 90%. To install this amp, a four-gauge power and ground wire are recommended. This wire gauge is best to aid the amp in delivering optimal sounds. The Hifonics ZRX1216.1D one channel amp is also monoblock which doesn’t allow you to make bridge connections. However if you opt for the four channel amp you can bridge it to another sound system. You can connect the amp to the sound system with the low level RCA inputs and outputs. The amp is embedded with a bass knob. This knob only works to boost the bass of the amp and it doesn’t affect the sound output. For better bass sounds it’s better to adjust the subs bass dial. The amp has a protection mechanism in place which is supposed to make it durable. This includes: DC, short circuit, thermal and overheat protection. Features: Preamp RCA outputs to daisy chain multiple amps. Part of the Brutus line the BRX2016.1D is embedded with a Ultra-Fi MOSFET circuit. This specialized circuit maximizes efficiency to improve the sound quality. The electronic crossover and the boost EQ also help to deliver music drive audiophiles love. The Ultra-fi MOSFET is expertly constructed to produce sounds that are smooth. There will be little to no distortion. The amp has green LED power and protective red indicators. There is a built-in diagnostic system that informs you what issues may be arising​. The red LE​D indicators give a signal on what the diagnostics or issues are. This specific amp is a 1 Ohms therefore not making it possible to bridge. Only the two- and four-Ohms amps can bridge with another that is twice the voltage but half the channel. The two-channel amp can be bridged into a one channel. The four-channel amp can be bridged into two. This increases the power output. There are preamp RCA outputs to make daisy chains to other amps or sound systems possible. The amp has a three-way protection circuitry. This includes the simultaneous safety of the thermal, overload and short speaker protection. This three-way protection circuitry essentially ensures that when you play music loud for long durations all mechanisms are protected. The heatsinks of the amp are made of aluminum alloy. They help to not make the amp overheat which can increase the risk of the system failing. The connectors and the blue LED lights are located on the underside of the heatsink. This position ensures these two parts won’t overheat and fail. The BRX2016.1D arrives with a remote for you to adjust volumes easier if the amp is not within your reach. The remote connects to the amp through a long wire. The speakers or subwoofers connected to the amp will experience a drive unmatched by other amps. The amp is designed to give you unexpected power that is unheard of. You may not even need an additional crossover to improve the sounds if you're not satisfied. The bass knob built onto the amp allows you to make further improvements to sounds. It may not necessarily make them louder but cleaner and smoother. ​Features: Onboard electrical crossover with angled and illuminated terminals. As the BRX5016.5 is manufactured under the Brutus series it is equipped with the Ultra-Fi MOSFETS circuit. The circuit is what gives the amp the power and drive you need. The amp features a green and red LED light. The green LED light indicates the amp is safe to use. The red LED light is activated when the amp sets itself into protect mode. The built-in system diagnostics trigger the red LED light when the amp is overheating. When the amp is in protect mode. it prevents you from using it until it’s cooled down. This reduces any risk of the internal components failing because of overheating. The unique combination of super A/B and D class makes this amp one of the best products from Hifonics. You can easily connect the amp to other sound systems. The preamp RCA outputs make it possible. You can also connect to other compatible amps if you want. When you do, you elevate the sound performance. The three-way protection circuitry is also presented in this BRX5016.5. The loud music you play won't cause the speakers or circuit to fail due to an overdrive they can't endure. This amp also arrives with a remote that controls the volume for all four channels. A long wire connects the amp and the remote. It proves its benefits when you need to adjust the volume while driving and the amp is not within your reach. This model is CEA certified. It means all the technical and performance requirements of the association are met and the certificate validates its worthiness. The components used to build the amp has zero tolerance for failure. This boosts the durability and longevity of the amp. Once again there is a bass knob mounted on the amp. It helps you adjust the sounds to match your preference and genre of music. The amp can be connected to factory speakers and it drives a powerful sound performance. 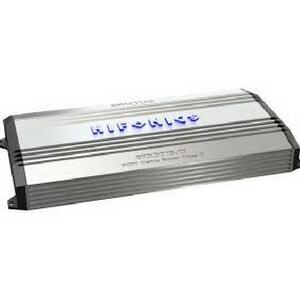 ​Features: Aluminum heatsinks are located on two sides of the amp to ensure it doesn’t overheat. This Brutus series amp is best compatible with subwoofers. The Brutus BRZ1200.1D has a new heatsink design. It now has vertical side fins which draw the heat up to dissipate it from the amp. This effectively maintains cool temperatures so the amp doesn’t overheat. The heat dissipation allows the amp to run more efficiently which reduces the impact on the car’s battery and charging system. The amp features a four-system protection circuitry. The monitor thermal, overload, DC and speaker short protection make the amp safe and reliable. You can rest assured all the components in the Brutus series are CEA-2006 certified. You’ll have the quality performance as expected from an amp that has this certification. Being CEA certified means that the wattage power won't deteriorate throughout the amp’s lifespan. The MOSFET power supply makes the most of the input sounds. Without using much of the battery charge, the amp is able to produce more wattage power. A wired remote is included with the purchase. You're able to adjust the bass level control only. There is a variable bass boost that ranges from 0 to +10dB at 45Hz. The Brutus BRZ1200.1D is a mono amp however there are preamp RCA outputs which allow daisy chaining of multiple amps. This helps amplify the sound output immensely. The amp is built with a green and a red indicator. The green LED light indicates the amp is safe to use. The red LED is activated when the amp is in protect mode. This mode is triggered when the built-in diagnostics determine the amp is overheating. The amp features a “super speed” enhanced chipset. This offers greater current capacities for a more precise digital to analog conversion. The result is little to no distortion heard even at high volumes. 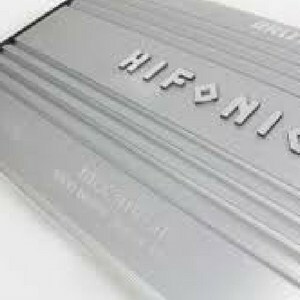 Hifonics is a brand that specializes in the systems that elevate sound performance for audiophiles. The company’s versatile range features the best technology to deliver sound expectations. Hifonics has been strong for over 35 years. This proves the success it’s achieved in pleasing all music lovers. Which of these products will be pleasing in your current sound setup?